Very peaceful, Ideally located, it’s close the center of Finale Ligure and the beach but seems to be directly in the sea. This new apartment built in July 2009, projected with all comfort to permit you to spend a fantastic holidays. Our stay at Casa Barbara was wonderful. David was super helpful, recommending great places to dine and helped out finding a great mountain bike shop/guide. The apartment was clean and very spacious. The view from the balcony is stunningly beautiful. I can highly recommend Casa Barbara and hopefully will be back sometimes myself. it was a pleasure to know you and your Family. We are happy to help you to spent a wonderful Holidays at Casa Barbara. "It's a great apartment with an awesome view! Once I found the place it was very easy to get in and out. Plenty of parking spaces too, which you don't find very often in a small town like that. The town is beautiful and it's got plenty of restaurants and a nice grocery store that has pretty much everything. I went to Finale Ligure for rock climbing and I was not dissapointed, a lot of rock in within 20 minutes driving distance. I'm planing to go back next year!" "I spend a week with my children in the roomy, clear and functional appartment with sunny balcony, and we felt very well. The description given on homelidays is corresponding exactly with reality. In summertime, with smaller children, may be it could be a bit tiring to walk the 10 minutes up the hill. The reward will be a nice and quiet place and a beautiful view over town and sea." Freundliche Vermieter, Balkon mit schönem Ausblick auf Altstadt und Meer. 5 min zum Strand, 3 min in die Altstadt und zum Supermarkt (7 Tage die Woche geöffnet). 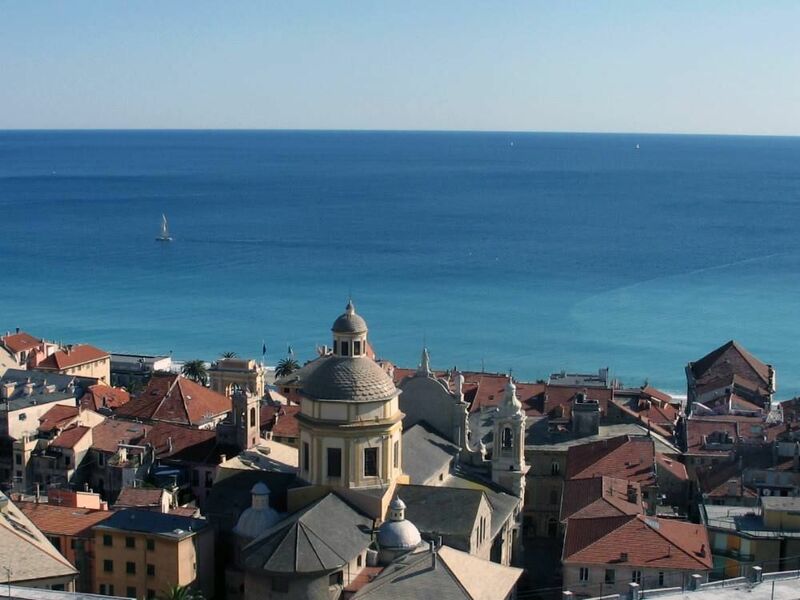 Finale Ligure is one of the most beautiful Country in the Riviera Ligure; its fantastic promenade, the beautiful beach and the hinterland, where you can play all Outdoors sport like Free Climbing and Mounain Bike, made this place an ideal goal for young and family. If you like Medioeval Town, you can visit Final Borgo, voted in the 2008 as the best Medioval Town of Italy.